Inspiring a Shared Digital Future – ICTC is a national centre of expertise for the digital-based economy, is the trusted source for evidence-based policy advice, forward-looking research, and creative capacity building programs for the digital economy. ICTC President and CEO, Namir Anani, touches on the changing nature of work and continuous learning in his recently published paper, Paving Way for the Future of Work. In the paper, Namir outlines the ever-changing digital landscape, into what has now become a predominant “gig economy.” Contributing to this change and also destined to contribute economic growth in the coming years are many transformative technologies namely, 3D Printing, Augmented and Virtual Reality (AR & VR), Artificial Intelligence, 5G, and Blockchain. These technologies are changing the nature of work and in turn the traditional classifications of occupations. Job titles are becoming less indicative of actual skills in our ever-changing digital economy. Review the full paper. ICTC recently announced the release of its report titled 5G: Jumpstarting Our Digital Future. Funded by the Government of Canada’s Sectoral Initiatives Program, this report provides a deep dive into the impact of 5G on employment, business transformation, and economic growth over the coming years in Canada. 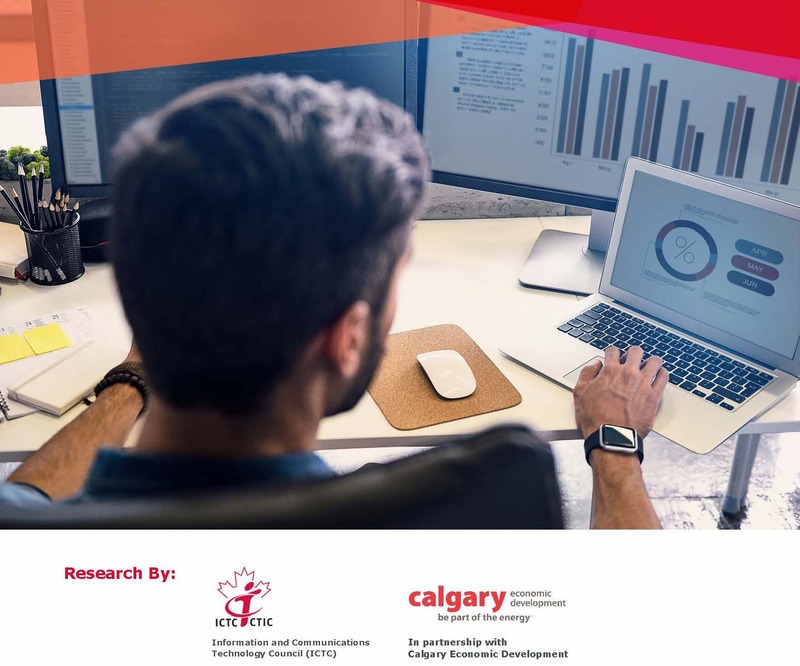 In partnership with Calgary Economic Development, ICTC recently completed a report showcasing employment transition pathways for displaced workers in Calgary. Highlighting in-demand digital occupations in the city and their skill needs, as well as skill competencies of displaced workers, the report paints a detailed picture of the crosswalk between displaced occupations to in-demand occupations. With skilled workers in fields like geoscience and engineering facing high rates of unemployment, the report unravels skill matches between displaced occupations like geoscientists and in-demand occupations like data scientists. At the same time, it showcases skills mismatches (or upskilling needs) and provides examples of resources for upskilling in the city. With the average geoscientist having nearly 60% of the core skills to transition into a role in data science, this paper is the first of its kind to clearly illuminate the pathway to transition from displaced to in-demand occupations. Read the full report here. A newly released white paper highlights ICTC’s perspectives on a data economy strategy. We are currently in an era where a data-driven economy is a global stimulus for fledging entrepreneurs and emerging industries to create and commercialize new Intellectual Property (IP) to achieve national, economic, and social aspirations. This paper highlights a strategy for Canada to lead in a global economy that increasingly prioritizes and relies on the exchange and use of data. 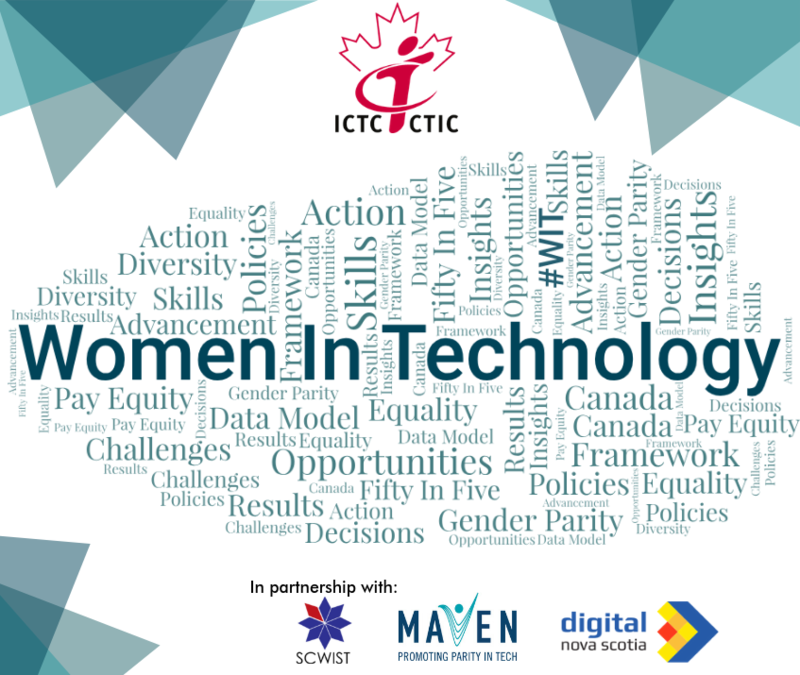 ICTC is launching a survey as part of our Women in Technology initiatives. We’d like to hear from you and invite you to participate! We would like your input on an important initiative aimed at increasing the attraction and retention of women in the tech/digital sector. We are looking for insight at an individual level and at an employer, level to better inform policies and decisions that benefit women’s participation in the Canadian digital-based economy. Your participation will help us create a more robust evaluation framework to measure impact and further define the conditions and actions for success for women’s economic security and prosperity. Click here to learn more and participate in the survey. Employers are encouraged to apply now for the 2019 winter term as there are a limited number of Cybersecurity jobs and Artificial Intelligence placements left. ICTC is pleased to announce that there will be an additional 251 Work Integrated Learning placements for Cybersecurity jobs (165) and Artificial Intelligence jobs (86) available placements starting on April 1. 2019. 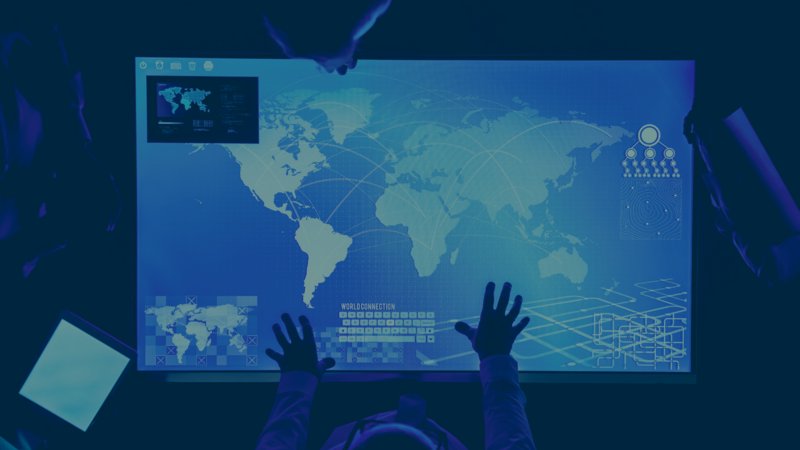 Forecasting the growth of cybersecurity-related occupations in Canada, ICTC estimates that by 2023, Canada will see over 100,000 cybersecurity-related jobs created across a variety of industries. ICTC is now accepting applications for winter and early-spring terms. For more information on this innovative program, visit this link. ICTC is excited to announce a new program, the Coach Connect initiative, with thanks to funding from Employment and Social Development Canada’s Foreign Credential Recognition Program, that continues to create employment pathways. 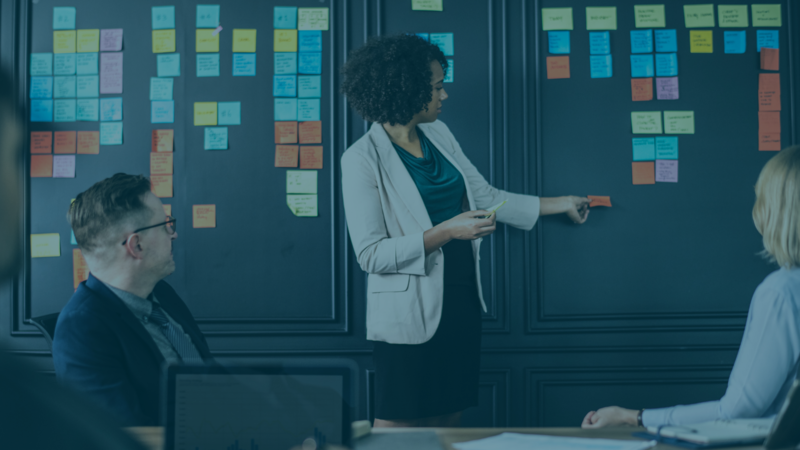 The Coach Connect Initiative is an online training pilot program that aims to improve labour market outcomes for participating internationally educated ICT professionals. This national employment-readiness initiative comes at a strategic and significant time for Canada’s digital economy as growth and demand for ICT/digital talent continue to outpace supply. Coach Connect is an incredible opportunity to bolster the industry with highly skilled international talent while upskilling professionals to meet the needs of Canada’s workforce. For more information, visit this link. This month, we are very excited to announce that Digital DASH has secured a partnership with Riipen. Riipen is an online platform where real-life business challenges are posted by industry for students and educators to bid on as assignments. This collaboration has given us the opportunity to move forward and offer our Digital Skills Challenges initiative. This month, ICTC also hosted a FIT Roundtable Event, where our Focus on Information Technology program (FIT) was analyzed with the guidance of industry professionals. The goal behind this event was to address the 4 current FIT streams and ensure that the knowledge and skills that students gain within FIT are aligned with the needs of employers and the digital economy. Cybersecurity was also introduced as the 5th FIT stream. The Digital DASH team is continuing to offer Student Learning Days, CyberDays, Webinars and Teacher Learning Days. Recent CyberDays were held in collaboration with the Canadian Police College. Over the course of two days, both an English CyberDay for students from the Ottawa Valley, and a Francophone CyberDay for students from Gatineau, Quebec ran successfully. In addition, on February 12th, we will be running another CyberDay at the Canadian Science and Technology Museum to unite with the Canadian Commission for UNESCO in celebration of UN International Day for Women and Girls in Science. In the coming weeks, Digital DASH will be launching the Digital Youth website, Please follow the ICTC calendar for more information about upcoming events and initiatives! Don’t Miss Out: CyberTitan is Looking for Partners! The 2019 CyberTitan competition season is upon us with a record-breaking 189 Canadian teams made up of over 700 students across the country who are all competing for one of the top spots in the national finals. This Cyber Security Education Initiative is presented in affiliation with the (US) Air Force Association’s CyberPatriot Program, presented by the Northrop Grumman Foundation. Canadian teams are currently competing against teams from across the world in the four CyberPatriot rounds. 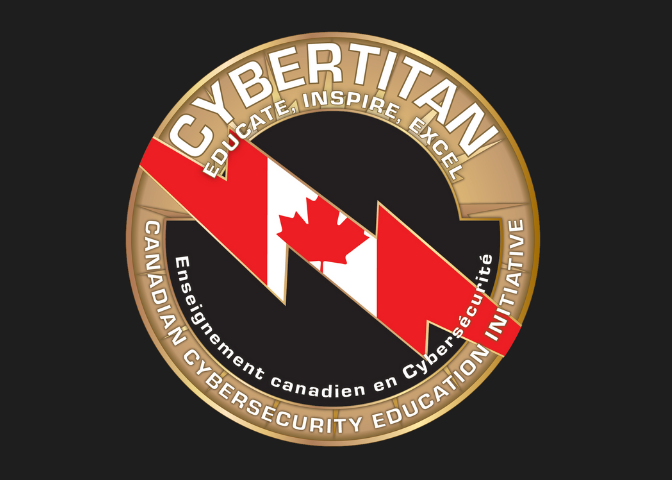 The 10 top scoring Canadian teams will receive an all-expenses-paid trip to Ottawa to compete in the 2019 CyberTitan II National Finals this coming May! CyberTitan is actively searching for more partners interested in helping grow this initiative. The real value is having your name associated with a program that’s inspiring hundreds of middle and secondary school students towards pursuing careers in cybersecurity and STEM disciplines.